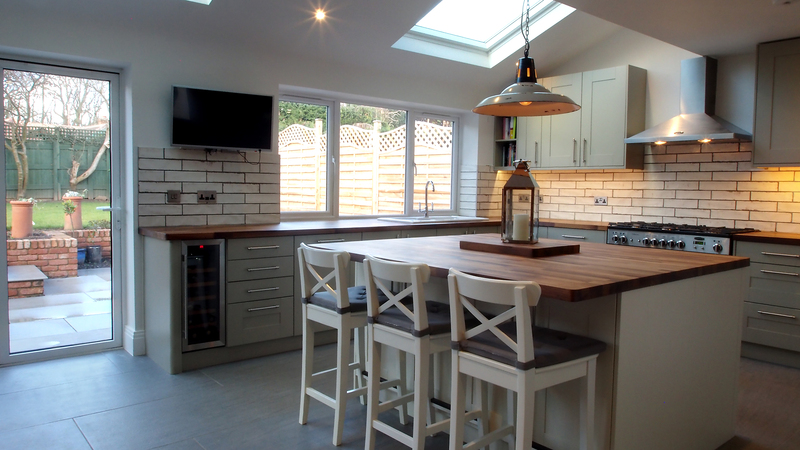 Our client brought this outdated detached property in Addlestone with the dream of converting it into a family home before the arrival of their first child. 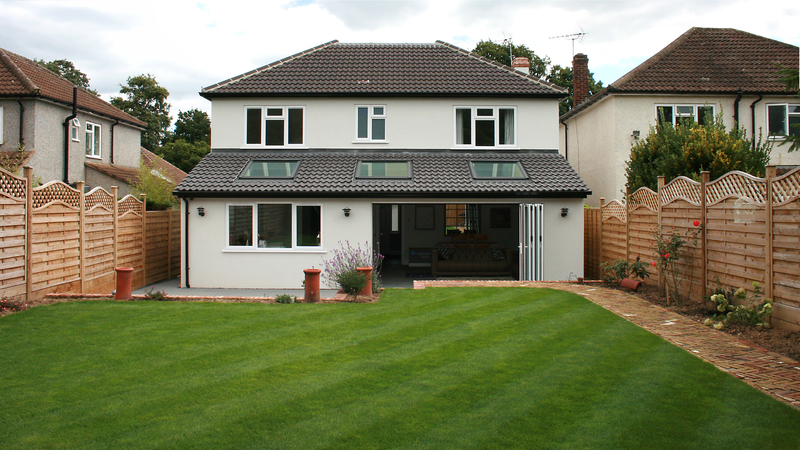 The 1960’s house was a mix match of small dark rooms that weren’t fit for use in the 21st century, are designers worked with the clients to create a layout which would allow for their growing family however still maintain a degree of sophistication. 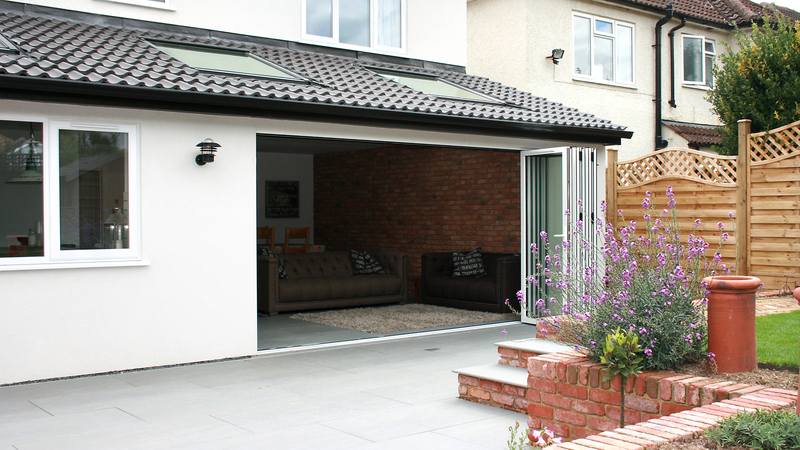 By adding a single storey rear and a double storey side extension we were able to create a beautiful kitchen, dining, family room with bi folds leading to a sunken patio and landscaped garden. The velux’s added to the slope roof allow natural light to flood into this space and the bear brick finished wall provides character and depth. A utility room has been created off of the kitchen area with a downstairs WC and a formal living room is located at the front of the house. In addition to the downstairs remodel the double side extension allowed for two additional 1st floor bedrooms and a new luxurious family bathroom. 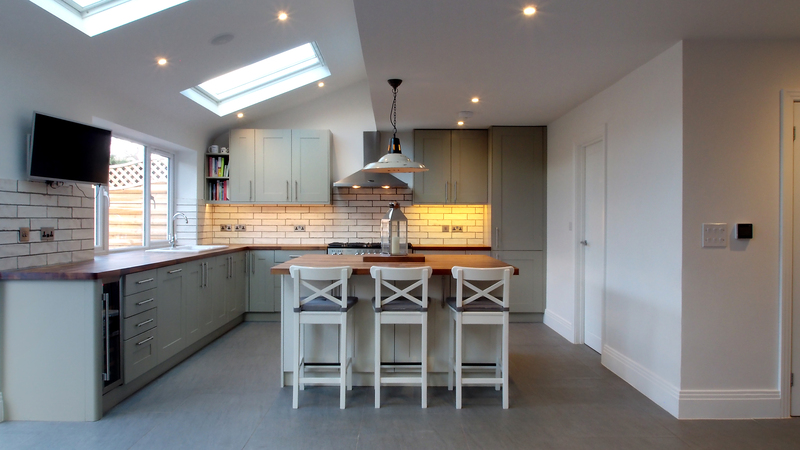 The renovation was completed by TN Design and Build just in time for the arrival of our clients little boy and has transformed the way they live.